From honing math skills with Dominoes and Connect Four to exploring global politics with Risk, elementary and secondary teachers have incorporated popular modern board games in the classroom for decades. Benefits of so-called “stealth learning” — those fun and often unconventional techniques teachers use to work content into lesson plans — are countless, with research demonstrating that in-class games improve creativity, memory, academic performance, problem solving skills, social interaction, and concept transfer. 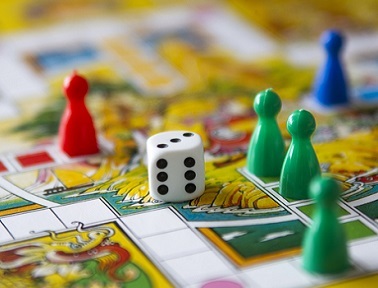 Long used for both leisure and learning, board games have been a fixture of social life from ancient Mesopotamia through 21st century America. Originally the domain of elites with a surplus of leisure time, contests such as the Sumerian “Royal Game of Ur” and the Egyptian Senet appeared around 3500 B.C.E. These prized possessions proved meaningful diplomatic gifts across the ancient world. Tutankhamen was buried with a Senet game board and Queen Nefertari herself was depicted on tomb paintings with game pieces. Meanwhile, classic pastimes like Pachisi and Go have been played in their respective homelands of India and China for millennia. In nineteenth-century America, a new market emerged for board games — children. Frequently, these seemingly playful diversions masked and reinforced values and mores. In 1860, The Checkered Game of Life, precursor to LIFE, went so far as to eschew dice in favor of a spinning top in order to avoid connotations of gambling. The game’s objective, to earn 100 points en route to happy old age, could be achieved by following a path of upwardly pointing fingers that mapped behaviors considered pro-social. LIFE’s directive digits promoted qualities like honesty, wealth, and matrimony (linked to happiness) while discouraging traits like idleness, intemperance, and gambling (which connected, respectively, to disgrace, poverty, and ruin). Today’s game market is flooded with options designed to boost critical thinking, language development, and decision-making skills. 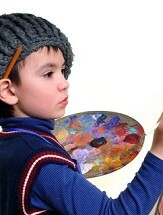 But students can go beyond simply playing games, using their ingenuity to invent games of their own. A meaningful alternative to a unit test, game-making provides the opportunity for students to emotionally and intellectually invest in a project, either as individuals or groups. Begin by activating students’ prior knowledge: what are some of the board games that they’ve played? What’s the objective, and how do players achieve it? Explain that in some games, advancement is based on knowledge; the game that they create will follow from this tradition, with questions rooted in subject matter from the class. Next, dole out supplies: cardboard or construction paper, markers, colored pencil, and index cards. While students can illustrate the board in any way they see fit, suggest a minimum of 20 spaces on the board path. After planning the board, draw up questions, half fact-based and half opinion-based, the latter of which will encourage expository speaking skills. Once the board and questions are set, have students test their game. After making corrections or changes as they see fit, have groups rotate, enjoying the creations of their peers. Each game played presents information from a new perspective and entrenches content in a meaningful and memorable way. The Journal of Instructional Research offers an insightful piece on the benefits of incorporating games into the classroom. For a detailed sample lesson on board game construction, see this outline on the MENSA Foundation site.